DiS: You've been together for over a decade now. How has the musical environment changed around you over that time and did you ever envisage being here talking about your fifth album eleven years after you started the band in 2000? DiS: By the same token it must be difficult for bands starting out now, particularly looking into the future and planning for their fifth album by 2021 or thereabouts? Noble: It's probably harder to sustain that kind of level where you can still afford to put records out that far down the line, but it's definitely much easier to make a record in the present climate and expose it to people. Yan: But at the same time, you've still got to work hard getting yourself out there and playing to people. I never used to think about what we'd be doing in ten years when we started. It's probably not healthy is it? It's more for your accountants and those of a practical thinking nature really. I'm not saying there's anything wrong with that, it's just a skill I haven't got! DiS: Why do you think it is that British Sea Power still exist and seem to go from strength to strength whereas many of your contemporaries that started around the same time have long since fallen by the wayside? Yan: Honestly? Too much success too early that went straight to their heads. Noble: Fortunately we've yet to experience any of that! Yan: I don't know, I think we've been steady builders, probably because we've created most of what's around us ourselves. We've never been part of a scene, never tried to be if we're honest. We're content with being a fringe band. DiS: Do you ever look back in hindsight and regret not having that one big breakthrough commercially successful single, or do you think it could have ended up as an albatross around the band's necks? Yan: I think I could handle it! I've got no anti-commercial feelings. Some of the biggest pop songs convey some of the most powerful feelings you can get. DiS: You've written a fair few three-minute pop songs yourselves to be fair. Why do you think daytime Radio 1 has never picked up on British Sea Power? Yan: I guess we come across as being slightly weird to some people. We use different words in songs to most pop groups and we don't have choruses that go "Oh yeah, I'm crazy baaaaaaa-by I'm going insane, call my number...!" Noble: You're working on a new song now aren't you? Yan: Yeah! It's quite interesting analysing the words of most pop songs. They're either about mental illness, insane love jealousy or danger....the most lightweight, ordinary things imaginable really. And it's popular. DiS: Do you ever question why? Yan: It's like JG Ballard has been saying for ages that basically a lot of the Western world is just mental! They're psychotically ill, and it's so endemic it brings out a warped sense of enjoyment as a result. Noble: It's an untested theory but we're sticking to it. DiS: Your fifth and most recent album Valhalla Dancehall is arguably your most eclectic and varied collection of songs to date. Do you see it as being representative of where the band is musically at this moment in time and ultimately, would you say it's maybe the definitive British Sea Power record? Noble: I don't really like using the word definitive when I'm talking about any particular one of our records to be honest. Yan: I guess it does sum up where we are now quite well. We haven't changed that much except that the songwriting's probably more shared out than on any of our previous albums. DiS: When you listen back to the album are you as satisfied with it now as you were when it was first recorded? Noble: We don't tend to listen to it back that much if I'm honest, but we've just done a demos and alternative versions CD of the album and been listening more to those really. I guess it is interesting going through them and hearing the bits that didn't make it onto the final record. DiS: It's interesting you say that as 'Luna' was one song which was shortened almost in half for the album. What made you leave the full version off Valhalla Dancehall and which of the two are you most pleased with? Noble: The main reason we put the shorter version on the album was that there were already three massive songs on there in 'Cleaning Out The Rooms','Once More Now' and 'Baby'. I think a fourth would just have been a severe case of overkill! We also shortened 'Mongk II' by a minute and a half as we tried to condense the whole album into sixty minutes. DiS: You've mentioned both 'Mongk II' and 'Cleaning Out The Rooms', which both first appeared in one form or another on last year's Zeus EP. What made you re-record and include those two tracks rather than any of the others from that EP? Noble: Believe it or not, 'Mongk II' was actually written first and 'Mongk' which came out first is a remix! We'd always intended saving 'Mongk II' for the album anyway so when it came to putting together Zeus we did a different version of 'Mongk' which became number one. We've always worked in confusing ways! With 'Cleaning Out The Rooms', we remastered rather than re-recorded it. DiS: So which is the oldest song on Valhalla Dancehall? Noble: 'Thin Black Sail'. That dates back to Open Season. Yan: 'We Are Sound' does too. Most of the ones predominantly written by Martin (Noble) tend to be the oldest! Noble: I have a long finishing process. DiS: Going back to the song 'Baby', that actually feels like it could be British Sea Power's first ever love song in a perversely poignant kind of way. Yan: Neil (Hamilton) wrote it. He never really talks that much about any of his lyrics. Noble: I did ask him about that one and he just said it describes a sunny day on Skye. DiS: You worked with former Bark Psychosis frontman Graham Sutton on Valhalla Dancehall as with two of its last three predecessors. Do you enjoy working with him and what does he bring to the recording process? Yan: He brings an unbelievable amount of patience and endurance for starters. The actual recordings we did ourselves and then we took them to Graham for him to listen to and work on. We bombarded him with about 400 tracks in total so for him to arrive at the finished album sounding the way it did was pretty phenomenal to be honest. DiS: Were you fans of Bark Psychosis back in the day? Noble: When we first worked with him on Open Season we didn't know he'd been in Bark Psychosis, and then when someone told us I listened to one of their twelve-inch singles 'All Different Things' for the first time and just went "Wow!" DiS: I read on your website that the cover art for Valhalla Dancehall was inspired by Czech writer Bohumil Hrabal. Where did you learn about his work and what was particularly significant about him in terms of the band? Yan: I guess it goes back to Open Season really and that quote "To spend our days betting on three-legged horses with beautiful names" that's on the inside cover of the record. We were all reading different books and it seemed a good idea to put something like that on the sleeve. Noble: I think it may have come from Neil. Yan: It kind of sums us up really. DiS: In some ways you could say it bears similarities with the way the Manic Street Preachers have always used literary quotes on their artwork. Do you see them as kindred spirits, especially having just finished an extensive UK tour with them at the back end of last year? Yan: It's difficult to say really. I think they're a lot more focused about what they want to do and they're going to achieve it than we ever could be. I admire they've cleaner livers too, despite being around a hell of a lot longer than us! DiS: In terms of putting together a live set with so much material to choose from, how do you decide what to include and what to leave out? Yan: We kind of settled on a rough list of songs we were going to play throughout the various nights on this tour. We do like to mix things up a bit. I don't think there's ever been two nights in succession since we started where we've done the same set song for song twice. Obviously when you're playing a support or festival slot it can be difficult fitting everything in because you only have forty minutes or so which is where we tend to play mainly just the singles. The good thing about a headline tour such as this is that we can throw things in that even we weren't expecting to do at times let alone people in the audience! DiS: Are there any surprises lined up this evening or for the rest of the tour which this time last year you probably didn't see yourselves playing again live in the foreseeable future? Noble: We've been playing 'Something Wicked' off the first record and 'Like A Honeycomb' from Open Season a lot on this tour. 'The Spirit Of St Louis' we've done nearly every night as well, even when it hasn't always been on the setlist! It's difficult when there's about three-and-a-half hours worth of material and we're trying to squeeze into an hour-and-a-half. DiS: What about new songs? Anything in the pipeline which might make an appearance during this tour? Noble: We've got loads of new ideas but nothing that's ready for public airing just yet. Yan: I've actually written fifteen new songs in 2011 already. DiS: Are you lined up to play any festivals this year? Noble: Nothing confirmed as yet, but we've got this really exciting event coming up at the Roundhouse on 28th February. It's something to do with MySpace and it comes out as a live video link at 9pm. It's similar to those Xbox sports things that map your body and people can connect into this and distort all the visuals and stuff. It should be really amazing. We've got a background of trees and there'll be Jamaican death dancers and cossacks and stuff. Finally, if there's anything you could do differently or change about the past eleven years what would it be and why? Yan: I think we missed a trick somewhere along the line. We gave The Killers their first ever UK tour as main support back in 2004, and look at them now compared to us! Two years later they're headlining Reading and Leeds. 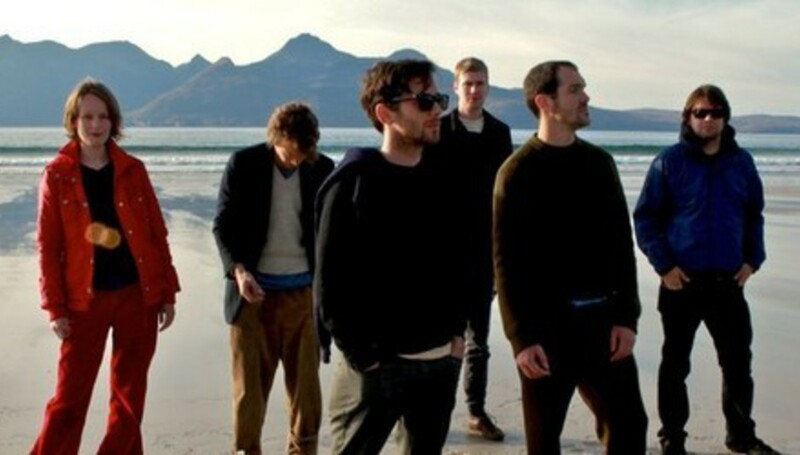 For full details on British Sea Power's whereabouts, visit their official website. Valhalla Dancehall is out now.